Eurosport has been finalising its coverage of the Winter Olympics, with confirmation of three pop-up channels via IPTV and cable. Eurosport 3, 4 and 5 began broadcasting earlier today, and were followed by confirmation from Eurosport's owner Discovery that these channels would not be broadcast on Sky. Eurosport’s pop-up Olympic Games channels will be available in high definition to BT TV, Virgin Media and Virgin Media Ireland customers, and join existing services Eurosport 1 and 2. The five dedicated TV channels will cover a broad mix of disciplines from ice hockey to alpine skiing – with live events shown in the morning and extensive highlights from each day’s Games in the afternoons and evenings. Eurosport 3, 4 and 5 are available on BT TV and Plusnet TV channels 420-422 and 440-442 (SD/HD) as well as via Virgin Media UK 552-554 (HD). Sky viewers will be able to watch coverage via Eurosport 1 and 2 only, following last year's bitter carriage dispute between the two parties. Sky will not be carrying the extra Eurosport channels anywhere in Europe where it operates. In Italy, Sky Italia users found that their Eurosport service had been abuptly changed, with an Olympic-free alternative schedule replacing coverage from PyeongChang with just one day's notice. Extensive live and on-demand coverage will also be available on Eurosport Player – available via the Eurosport website and the Eurosport app – which will include up to 16 extra bonus channels. 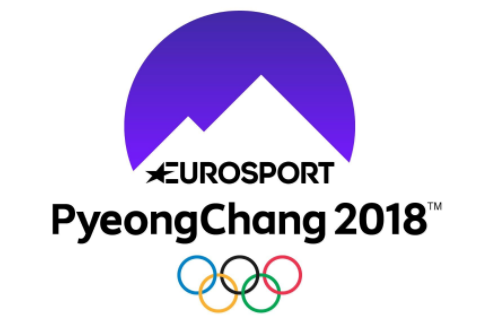 For UK and Ireland viewers, Eurosport is also launching PyeongChang Today with Jonathan Edwards, a flagship programme showcasing the biggest moments from the Games daily at 7:00pm on Eurosport 1. Former skeleton World Champion and Olympic silver medallist Shelley Rudman joins the stellar presenter line-up, with four-time Olympic alpine skier Emma Carrick-Anderson, Mike Dixon, a competitor at six consecutive Olympic Winter Games across cross-country skiing and biathlon, and Finlay Mickel, one of Great Britain’s most successful downhill skiers who made two Olympic Winter Games and four World Championships. In the UK, Eurosport is sub-licensing Olympic rights from the BBC this year, and again in 2020. For 2022 and 2024, the roles are reversed, with the BBC sub-licensing rights from Eurosport. The arrangement follows the BBC's move ahead of the 2012 London Olympics to secure the rights until 2020, and Discovery's success in obtaining pan-European Olympic rights in 2015, including the UK and France from the 2022 Winter Olympics. For UK viewers, this means the BBC will continue to carry Olympic coverage, but without the multiple Red Button streams that have accompanied Summer and Winter Olympic coverage since 2002 - just the one (regular) red button linear stream is available, alongside coverage across BBC One and Two, and highlights on BBC Four.